In a world where magic and technology exist side by side, vampire princess Alwen must reclaim her ancestral castle, and her magic, alongside her unlikely ally, treasure hunter Ragna Valentine. 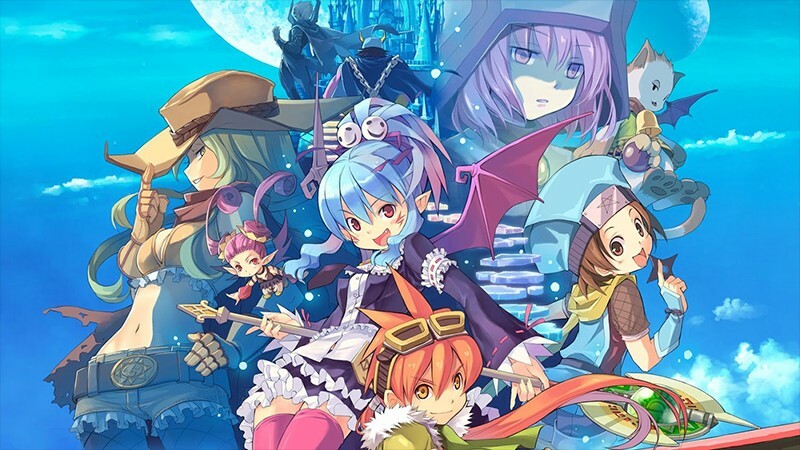 Trek across the world of Zwei: The Ilvard Insurrection and meet its strange and quirky inhabitants. Choose your tag team and rip through massive hordes of enemies with exciting aerial and ground-based combos in hack-and-slash JRPG Hyperdimension Neptunia U: Action Unleashed. Look out, though - take too many hits and your clothes and defense will end up shredded! Lead a group of survivors in a struggle to stay alive and find rescue in the zombie apocalyptic world of Infectonator: Survivors in this combination of real-time strategy, tower defense, and rogue-like. Enjoy Darkness Within 2: The Dark Lineage, the sequel to Darkness Within 1: In Pursuit of Loath Nolder, now in glorious 3D. Go anywhere you want and solve the puzzles as Detective Howard Loreid, a man tormented by the paranormal happenings around him, again! Set off on a time-tripping adventure to the medieval past to face fantastical foes and solve a mystery of legends and magic in New Yankee in King Arthur's' Court 4 Collector's Edition.